Officials at Georgia Tech are warning students to be cautious and avoid part of the campus after multiple encounters were reported between students and foxes. We're trying to catch a man everybody I'm scared. But his cabinet. But of getting bit. At below wall immediately and that new route to get to class which she learned better rabid fox. Attacked student. A friend of mine in my research group said that he saw one of the fox is around here. I decided to take a long ways that we wouldn't be accosted by whatever all that me that he at Georgia Tech officials sent out a warning and blocked off this area behind the molecular science and engineering building. Last week three students spotted at fox on this path way we're told the animal scratched or bit two of them. 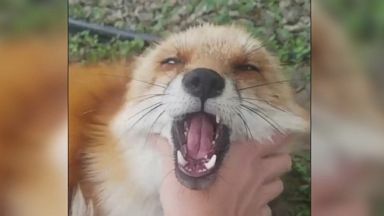 Officials captured that fox and it tested positive for rabies. I really hope that they don't have. That they make a good recovery and nothing bad happens to them tech. But officials believe there may be several other rabid foxes on the lips I mean it's kind of an expert that. I haven't seen anything of that so hopefully that'll happen to me this map shows the area you should avoid. Officials want students to stay away from the track and field facility to. 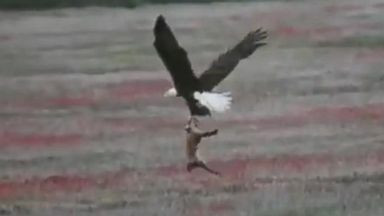 An eagle swooped down on a fox and tried to steal its meal. Dixie is living at an animal sanctuary in Faribault, Minnesota. 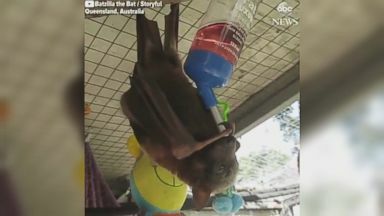 Miss Rosebud learns to use a dripper bottle during her recovery in Australia.